To those of us entrenched in the proletariat, the life of the professional athlete seems especially glamorous. After all, they play games for a living, make a ton of cash, live the kind of lifestyle we equate with privilege and luxury and things cool and aspirational. We have a tendency to believe star athletes aren’t susceptible to the foibles and mishaps of everyday life. 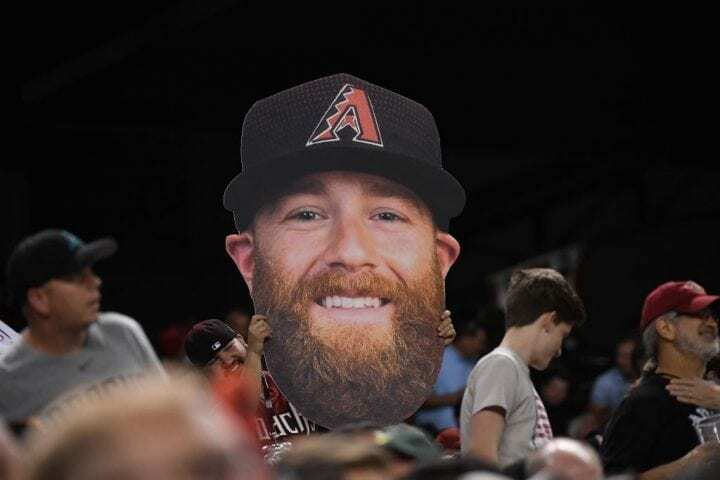 Then we hear about guys like Arizona Diamondbacks reliever Archie Bradley and feel suddenly reassured that he might just be like all the rest of us – often uncool, uncalm and mired in situations you hope to be able to laugh about one day. Perhaps you have already heard about this: Bradley made an appearance on Yahoo! Sports MLB podcast this week, a guest of host of Tim Brown. Before we get into the specifics, here’s something you should know about Bradley, who was talented enough to be Arizona’s first-round draft pick (11th overall) in 2011. 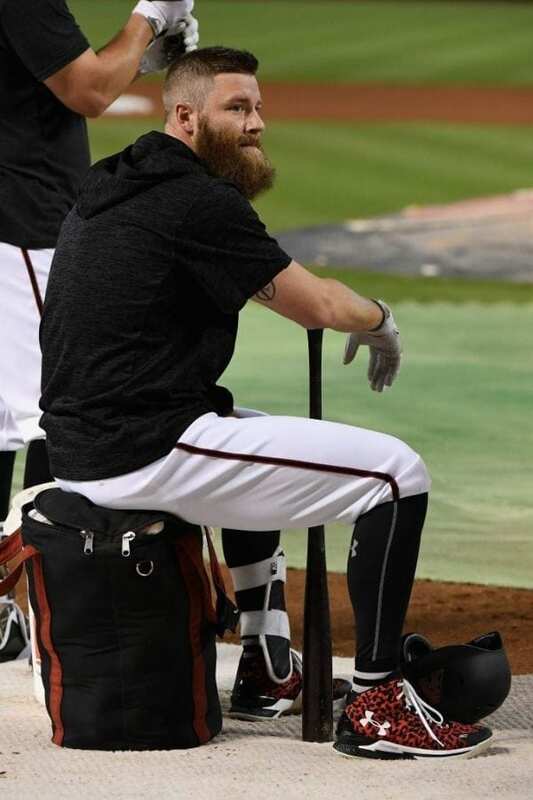 He is among the legion of Major Leaguers who has decided to grow a long, bushy beard, a topic we addressed in this forum earlier this week. But the decision had more to do with his eccentricity than his fashion sense. 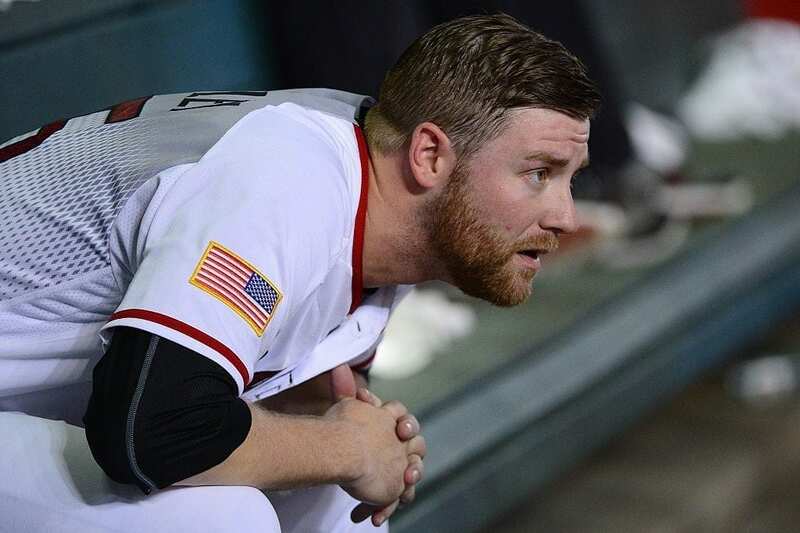 Last season, Bradley, at the time clean-shaven, was beaten out by Patrick Corbin for a spot in Arizona’s starting rotation and was sent to the bullpen to serve as a set-up guy. At some point, at least according to his Wikipedia biography, he decided to go see a palm reader who told him she believed that sprouting a beard would bestow him with super powers as a baseball player. 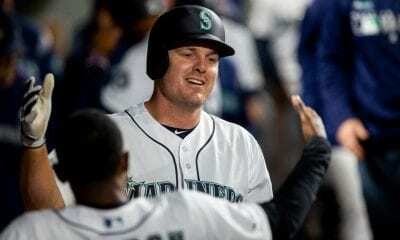 So Bradley threw away the blade and has since morphed into one of baseball’s premier relievers, one with an engaging, unpredictable sense of humor. Fair enough. And if you look at his stats this season, this superstition seems to be playing out perfectly. In his first 38 innings, he has allowed only 26 hits with 11 walks and 33 strikeouts with an ERA of 2.13 and WHIP of 0.974. Which brings us back to his conversation with Brown. During the podcast, the conversation subtly shifted to the embarrassing experience of Brewers pitcher Adrian Houser, who threw up twice on the field after being called in to pitch in the eighth inning of a game against the Phillies on Father’s Day. At that point, the Bradley-Brown chat got a little messy. “I was warming up to go in a game. I knew I had the next hitter. I knew he was on deck. 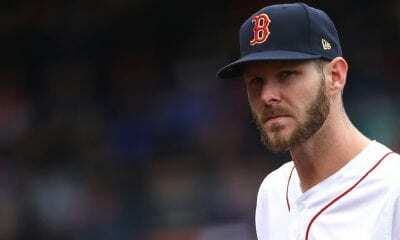 The at-bat was taking a little bit (of time),” Bradley told Brown. 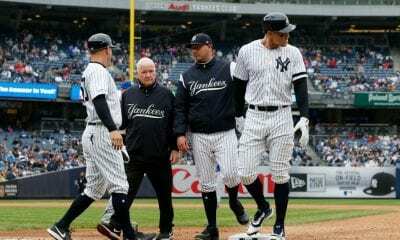 “As a bullpen guy in these big situations, I call them nervous pees, where like I don’t have to pee a lot, but I know I have to pee before I go in the game. I can’t believe I’m telling you this. “So it’s a 2-2 count, and I’m like, ‘Man, I have to pee. I have to go pee.’ So I run in our bathroom real quick, I’m ready to go. I’m trying to pee and I actually (expletive) my pants. Like right before I’m about to go in the game, I pooped my pants. I’m like ‘Oh my gosh.’ I know I’m a pitch away from going in the game, so I’m scrambling to clean myself up. I get it cleaned up the best I can, button my pants up, and our bullpen coach Mike Fetters says, ‘Hey, you’re in the game.’ So I’m jogging into the game to pitch with poop in my pants essentially. Moral of the story: Money and fame isn’t everything. Life can get untidy, no matter how famous you are.